The Unitech MS210 has been discontinued. 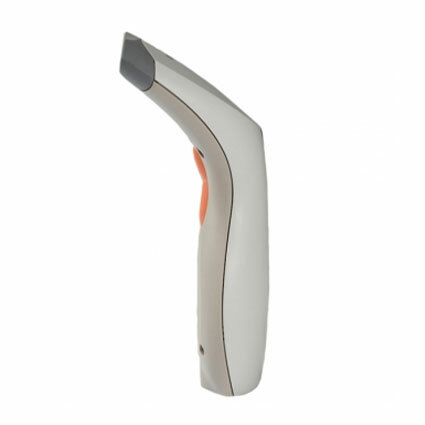 We recommend the Unitech MS250 as a suitable replacement. 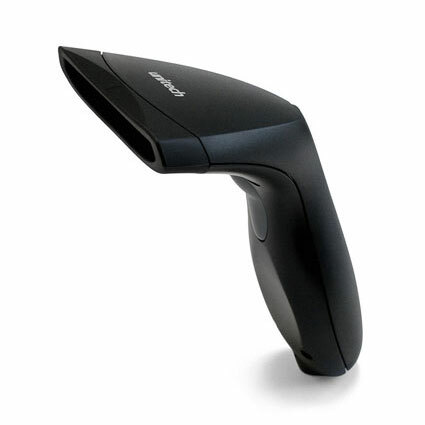 The Unitech MS210 barcode scanner is an affordable solution for businesses needing a low-volume contact scanner, such as student stores, video stores, or libraries. Weighing about 4 ounces and featuring an ergonomic build, the MS210 has been designed to prevent many of the injuries that occur with extended use. The lightweight design of the MS210 and lack of moving parts gives it added durability over the competition. Able to survive drops of 6 feet to concrete, the scanner can handle the abuses of even rough retail environments. A 2-year warranty comes standard, making the Unitech MS210 an economical and long-lasting scanning solution. • Dimensions (W x D x H): 3.46" x 7.48" x 1.96"